Dimensions: 455 x 265 x 120 mm. Roller Size: 4 Nos. x 230 mm lg. - Digital display & soft touch keys for easy operation. - Rocking & Rolling motion & Pulse mode feature with momentary pause ensures efficient mixing of blood samples. - Rocking Rolling motion Pulse mode feature with momentary pause ensures efficient mixing of blood samples. 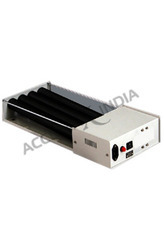 - The Digital tube tube roller comes with Brushless DC motor for maintenance free long life. Used for blood mixing purpose. 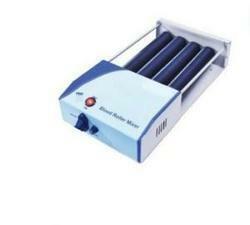 With our in-depth knowledge of this domain, we are actively engaged in trading an excellent quality range of Blood Roller Mixer.